Recently Germany announced that it would phase out glyphosate and ban GM crops. However, according to CCM, this will not pose a great impact on China's glyphosate export business. The European Union had voted to relicense the controversial herbicide glyphosate, marketed as Roundup by agrochemical giant Monsanto, for another five years. Germany was actually a key nation to swing the vote in November 2017 extending its use across the European Union. As the two parties in Germany, CDU and SPD, are agreeing to more points in order to form a big coalition and govern the country for the next years under Chancellor Angela Merkel, the ban of glyphosate usage, among GMO crops, in the country was one of the terms agreed on recently. It is one of the conditions by Martin Schulz and his social-democratic party. According to the former agriculture minister Christian Schmidt, after the controversial renewal of the famous weed killer’s EU approval, its usage will be limited in Germany. However, the time frame for the phase-down is not specified yet. Hence, there is no official set date for an end to using the controversial herbicide glyphosate in Germany. Germany had unexpectedly backed a European Commission proposal to permit the use of glyphosate for the next five years despite a heated debate over whether it causes cancer. The vote effectively allowed the extension of glyphosate use in the face of opposition from other leading European countries like France as well as the own coalition party SPD in Germany’s government. Besides the agreement of glyphosate, other agricultural policies agreed for the new government include a formalisation of the current ban on growing crops containing genetically modified organisms in Germany and an expansion of organic farming. The biggest obstacle in the efforts will be to find alternatives to glyphosate, which could involve new forms of herbicides or new methods of farming. The move to Germany is also a significant setback for Monsanto, the company that produced and market glyphosate under the name Round-up. The enterprise has already gained a massive foothold in the world seeds and agrochemical market, even as several countries in Europe have considered glyphosate bans, on the heels of widespread GMO crop cultivation bans. But with a pending merger with its German counterpart and pharmaceutical giant Bayer on the horizon, the company still has hopes of expanding its influence. Besides Germany, other European countries also plan to withdraw from the use of glyphosate. France and Italy carry through their plans to ban glyphosate, for example. The two countries announced that they would ban the controversial weed killer by 2020. According to insiders’ opinion, Europe’s alternative to glyphosate is based on pelargonic acid, a naturally occurring chemical found in a host of plants. The primary manufacturer is a business called Jade based on the outskirts of Bordeaux in France. Pelargonic acid has been widely used in weedkiller for years but at very low percentages. The new generation of bioherbicides in Italy and France contain approximately 70% of this substance. Other European companies also produce similar herbicides using pelargonic acid but with lower levels. 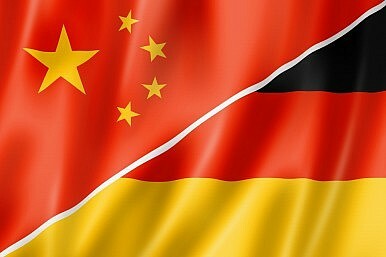 According to market intelligence firm CCM, this won't pose a negative impact on China's glyphosate export business, as China only exported 0.15% of its glyphosate to German, mainly glyphosate 95% TC and glyphosate 41% IPA. In 2017, Hubei Trisun Chemical, Sichuan Fuhua Tongda Agro-chemical, Jiangsu Good Harvest-Weien Agrochemical, CAC Nantong Chemical and Shanghai Hujiang Biochemistry. had exported glyphosate to German. Glyphosate is the largest export commodity in China’s pesticide segment. For that, China's glyphosate industry highly depends on the overseas market, exporting about 85% of its output. The major export destinations of Chinese glyphosate technical are Argentina, the USA, Brazil, Malaysia, and Indonesia while the major destinations of glyphosate formulations are Thailand, Australia, Vietnam, the USA, and Ghana. Hence, the EU is neither part of China’s most important glyphosate technical nor glyphosate formulations exports. Changes in the European Union therefore only have a small impact on the export situation in China. After all, only about 10% of global glyphosate demand is coming from Europe, far behind other relevant markets like South America, North America, and Asia-Pacific. To keep updated on China’s glyphosate market, have a look at China’s monthly published Glyphosate Newsletter with insights in market news, company developments, policies, and any newsworthy story. Join the discussion in our LinkedIn group and Facebook group.